Sometimes life seems full of storms. All of us experience hardships at one time or another. It's when several crises happen at once that you begin to wonder, "Am I going to make it?" Times of difficulty can grind us down, or they can invite us to become more aware of God's presence and concern. 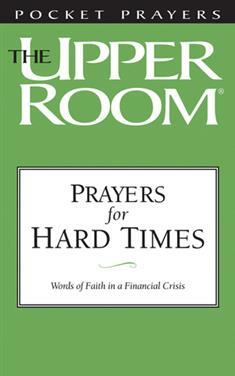 Prayers for Hard Times is a collection of scriptures, prayers, and meditations designed to help you find hope and discover God's presence in the midst of fear, worry, and distress. These booklets, shrink-wrapped in packages of 20, offer churches an inexpensive way to offer encouragement and spiritual support to people who are going through tough times.